I can't believe I hadn't reviewed these shadow sticks as I have been using them for a while now, and they have become one of my favourite "go to" items for a quick makeup look. The last time I bought a product from Rimmel was years ago. There wasn't any particular reason other than the fact that I have my regular brands I reach for. 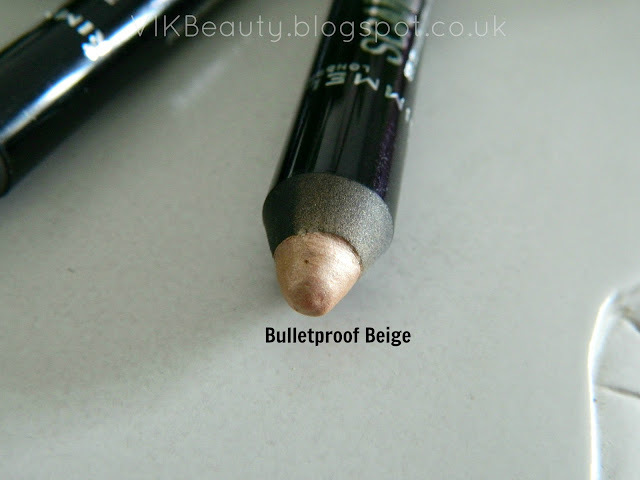 However, I was so impressed with this product that I went back and bought more bits from Rimmel. The Scandaleyes Eye Shadow Sticks are not new. They have been around for a while now. I picked up Bulletproof Beige and Bad Girl Bronze. The formulation of these shadow sticks are great. I would describe the texture as soft, creamy and smooth making them glide on beautifully. 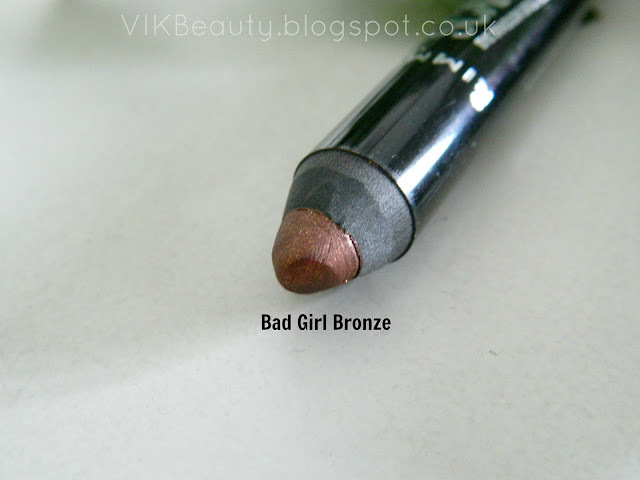 This is definitely useful when trying to blend the eyeshadows or creating a smokey eye. The pigment as you will see from the pictures below is extremely rich. The fact that the shadow sticks are shaped like a large marker enables you to apply the product in a more precise way. They also have a lovely shine and luminous finish to them. 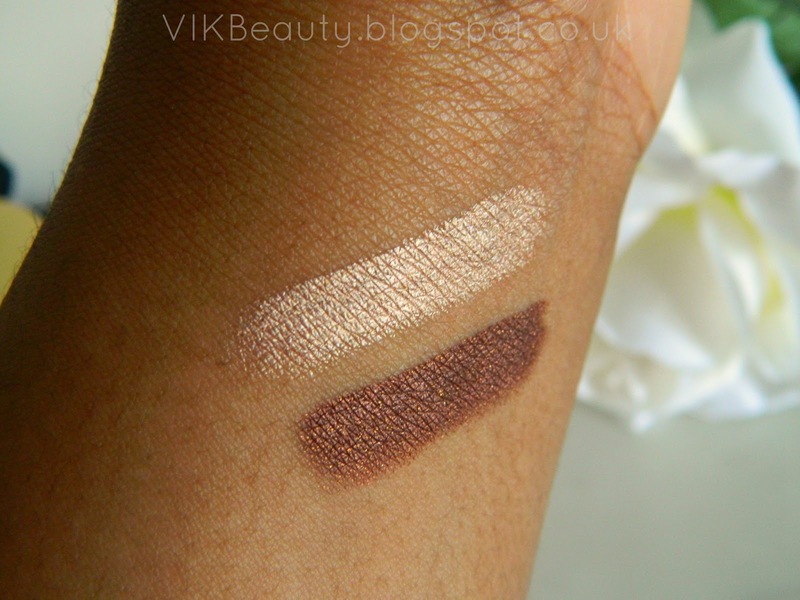 I really think these shadow sticks could give the higher-end cream eyeshadows a run for their money. I found the colour to be long lasting although it did crease slightly towards the end of the day. Which I didn't mind at all. My issue is when eyeshadows start creasing after just a few hours. There are three further colours in the range: Tempting Turquoise, Paranoid Purple, and Blackmail. They are definitely worth a try next time you're in Boots or Superdrug. 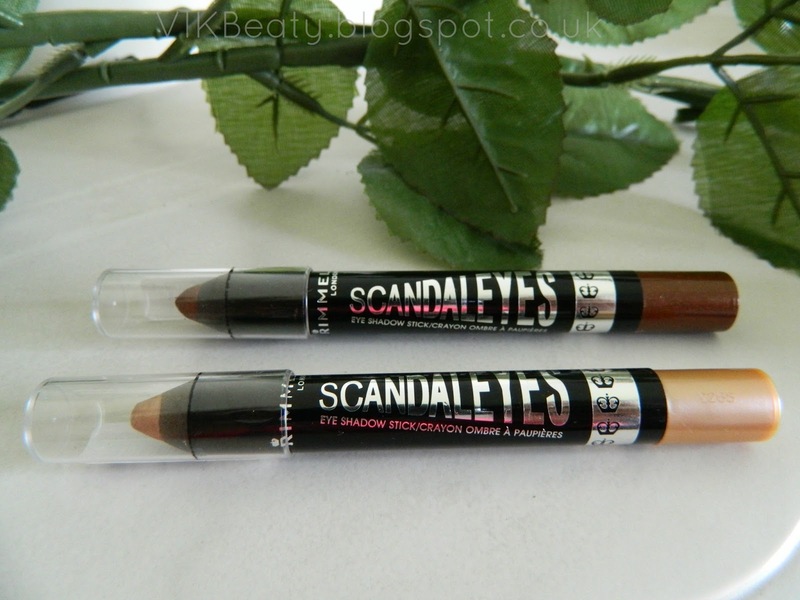 The Scandaleyes Eye Shadow Sticks retail at £4.99 which I think is definitely reasonable for a good product. Have you tried these shadow sticks? Which other products would you recommend from Rimmel? ****Don't forget you can follow me on twitter, instagram, facebook & bloglovin! These look so pretty! I find most creamy products crease quite quickly on me though. just a thought - LA colors do some 'jumbo stick' pencils now and I purchased some the other week, they're really good and really pigmented and smooth! They have a good range of colours too, just thought I'd mention because they're only 99p!